application works on iPhones, Androids, BlackBerry, Windows phone and Nokia phones. 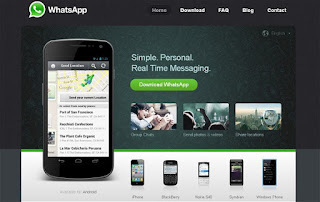 Whatsapp allows it's users to send and receive text messages, Pictures, videos and voice notes with friends and family. It's recent updates even allows you to share document files and make calls. Whatsapp is not compatible with all mobile phones, the list below shows the various symbian, S40 and S60 Nokia phones that is compatible with the application. Updated 08/09/2016: Not all the Nokia phones on this list are still compatible with Whatsapp. Whatsapp made this announcement while celebrating its 1 billionth download earlier this year. Connect with us on Twitter, Facebook and Google+ to ensure you don't miss out on our future updates. You can also subscribe to Inforisticblog free of charge by clicking here. Is it work on Nokia Lumia 521??? ?